On Thursday night, just past 10, a knock came at the door of a brownstone on Fort Greene Park in Brooklyn. It was the police. Again. The neighbor had complained about the noise. Again. But band practice had just ended, and so the police went on their way. Again. This year through May 23, the police said, 17 noise complaints have been filed about the Lee residence on a street called Washington Park. Most, if not all, were called in by a woman in the brownstone next door who moved in three years ago. “It wakes us up constantly,” said the woman, who spoke on the condition that her name not be printed because she did not want to aggravate her already strained relations with Mr. Lee’s wife, and did not want to be seen as a complainer. While she called Mr. Lee “the nicest man on the planet,” the woman said music bleeding through the brick common wall of the houses approached the level of a jazz club, and kept children in her building up nights, too. The situation was first reported in The New York Post. The woman said her requests to Mr. Lee and his wife, Susan Lee, to curtail the music at a decent hour — 10 p.m., for instance — have been ineffective, as have her calls to 311 and 911. The city’s noise code prohibits music from raising the noise level in nearby dwellings above 42 decibels, quieter than most normal conversations, regardless of the hour. Ms. Lee, 61, said they had never been cited by the police, despite the complaints. Nor should they be, she said. The Lees’ next-door neighbor on the other side, Dianne Mackenzie, said that though she and her tenants could hear the music at moderate volume, she was fine with it and warned prospective tenants not to rent if they objected to music. 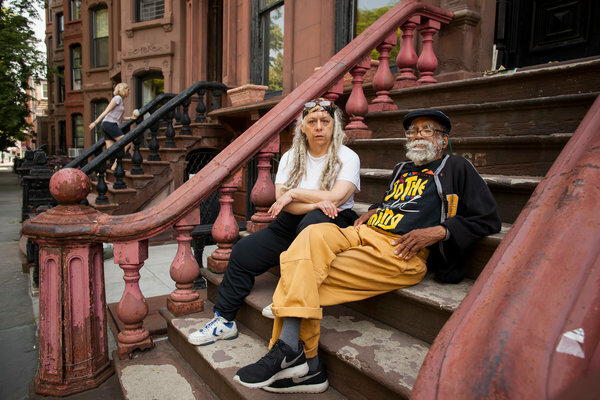 She called the dispute emblematic of the changes in Fort Greene, a neighborhood long known for its diversity and creative residents, and one that has seen an influx of higher-income settlers. “This is the problem with the people who just got here, compared to the people who’ve been here longer,” she said. Ms. Lee echoed Ms. Mackenzie’s sentiment. “You didn’t just move into a house, you moved into a community,” she said. The complaining neighbor said she loved Fort Greene and had no intention of moving out. She has offered to help pay for soundproofing the Lees’ house, but they turned her down. Ms. Lee said she felt the offer was less a friendly overture than an attempt to muzzle the musicians. “You’re not going to tell me what to do in my home,” she said. A fourth-floor tenant in the building where the complaining woman lives, Adam Bolt, said that while the music barely reached his floor, he sympathized with his downstairs neighbors. “It’s sad to see this get turned into an issue about music and musicians when it’s really about loud noise late at night,” Mr. Bolt, 30, said. The woman who keeps calling 311 said she used to enjoy jazz before she moved in.